It was a beautiful sunny day so we went to visit the Villa Borghese Gardens. In 1605 Cardinal Borghese began turning a former vineyard into extensive gardens that now form the third largest park in Rome. On the way to the garden entrance we pass this interestingly shaped hotel. Note the cars parked in front…they are parked on the road where the two roads on either side of the hotel merge. There are no parking spots here as it is part of the road but that doesn’t stop anyone. 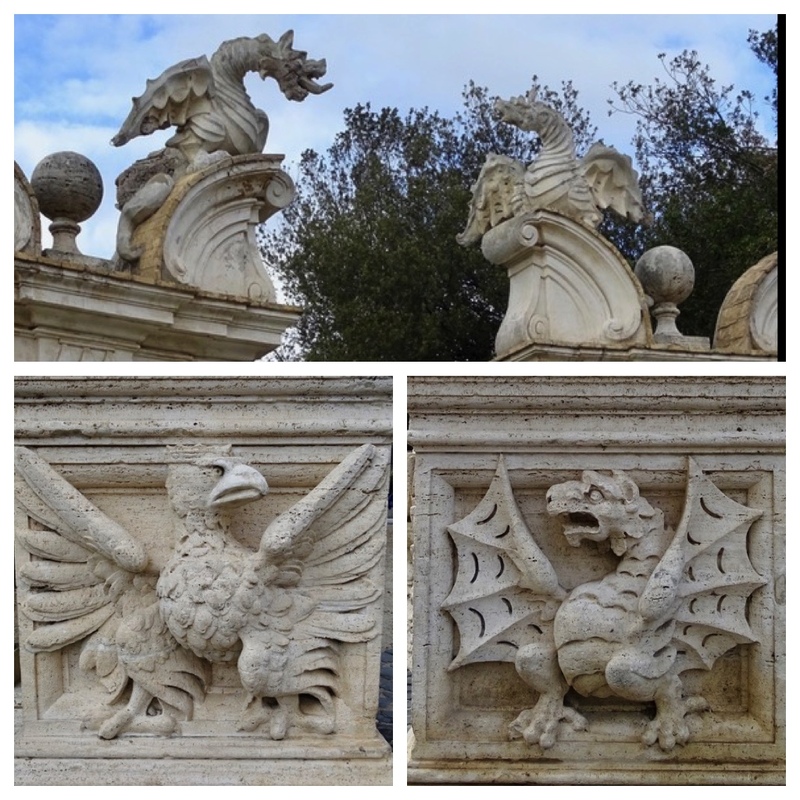 There are lots of interesting animal statues around the Villa Borghese, which is now a museum. Lots of dragons. The cardinal must have been a fan of dragons! 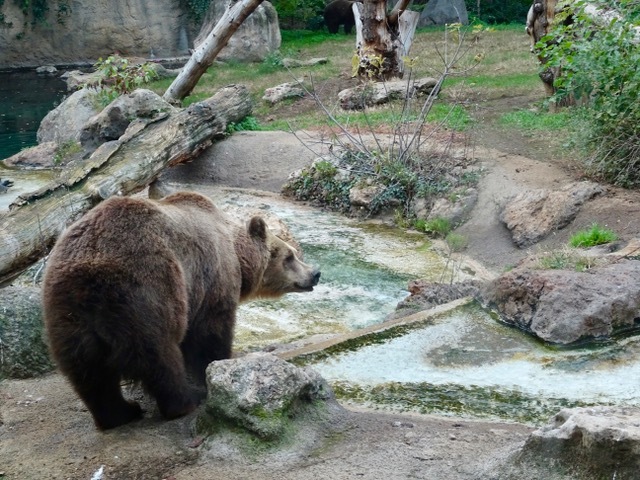 We see a sign for the Bioparco, which is Rome’s zoo and decide that would be a great place to spend the afternoon. It is Seniors Day and the entrance is only €6. First stop was the chimpanzees and orangutan. 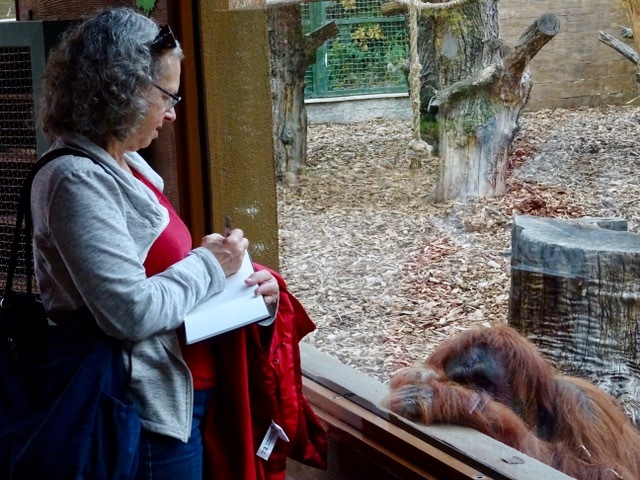 Not much to see at the chimpanzee enclosure but at the orangutan’s enclosure Zoe came right up to the glass to see us. She was fairly curious and looked about for quite a while before settling in for a little nap. Her sister, Martina was a bit shyer and only made a brief appearance just as we were leaving. I spent a bit of time sketching Zoe. I held her portrait up to the window for her but she wasn’t very interested. 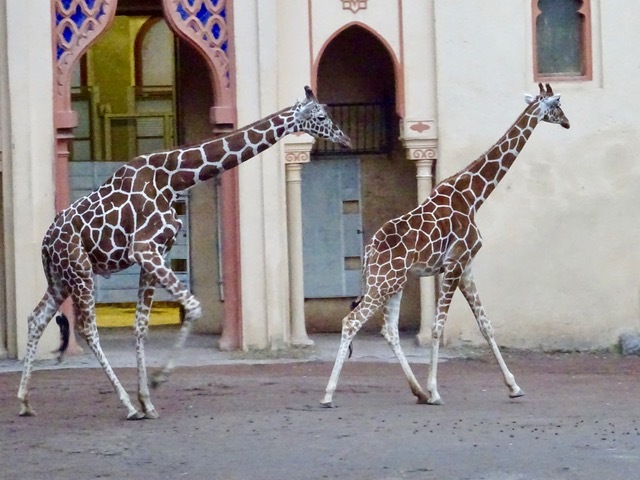 Zoe is 32 years old and Martina is 28, and they were both born here at the zoo. We see bears now and then when we visit the Rocky Mountains but it is usually just a glimpse as the disappear into the bush or they are far away. I enjoyed having the opportunity to observe this big fellow more closely. 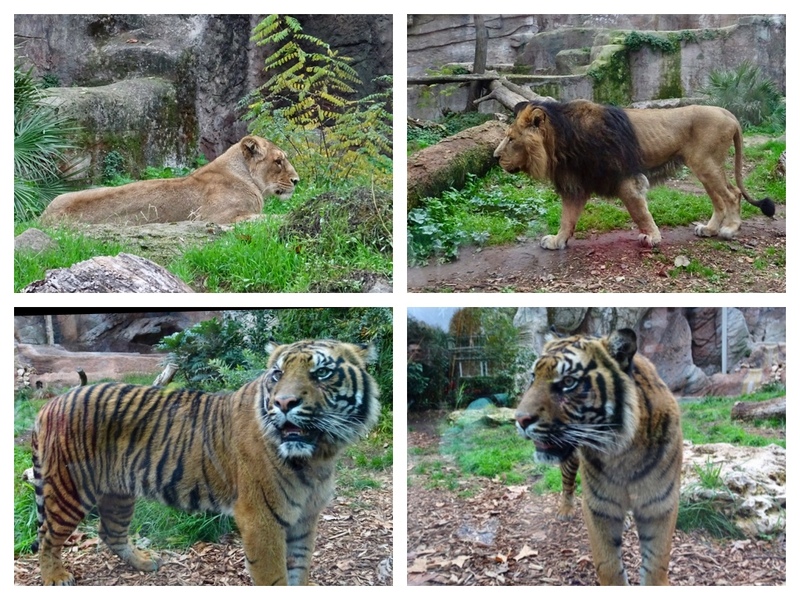 The big cats are always impressive… but then we turned a corner and met Gladio. 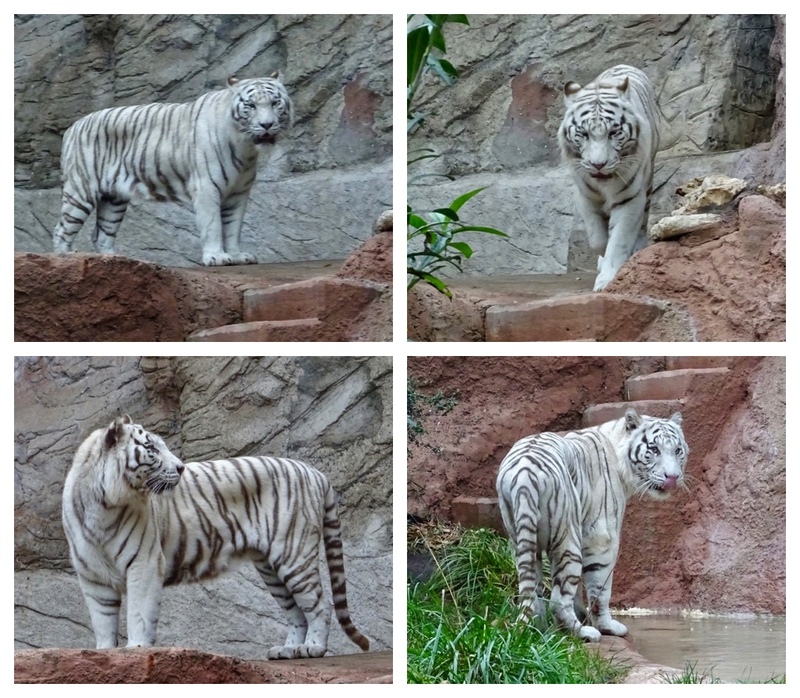 This rare white Bengal tiger is an 8-year-old male who was rescued from captivity in a dirty cramped cage. He had been mistreated and malnourished for years. 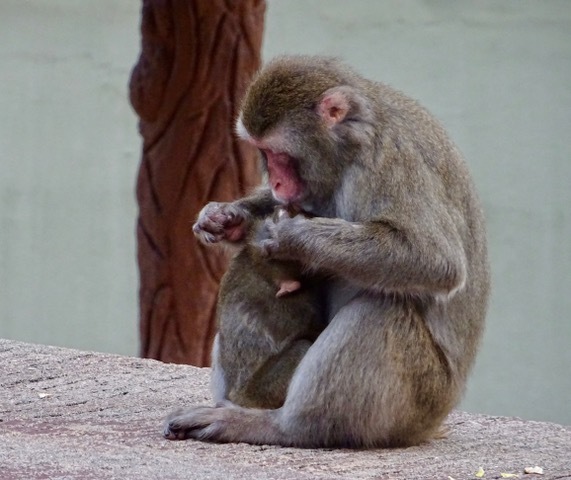 Gladio was treated at the zoo for physical and psychological problems and he has recovered enough to be introduced to his own compound in May of this year. 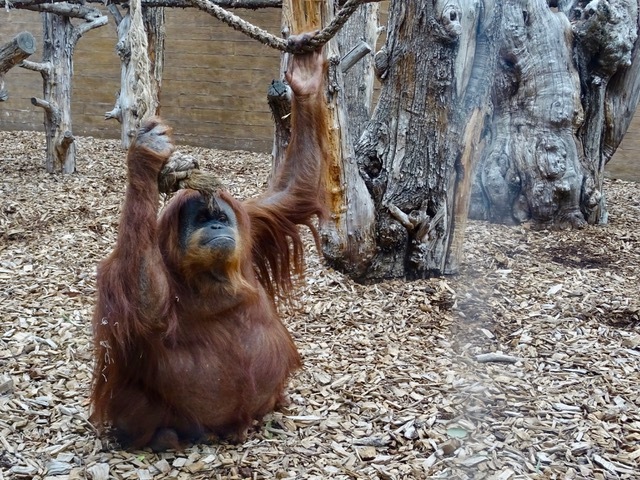 This was the first time that he had been able to walk on dirt and grass for a very long time as he spent most of his life in a cage on a cement floor. He now has 400 square meter of greenery, grass, a pond, and a lair. Not as good as being free but so much better than a small dirty cage. 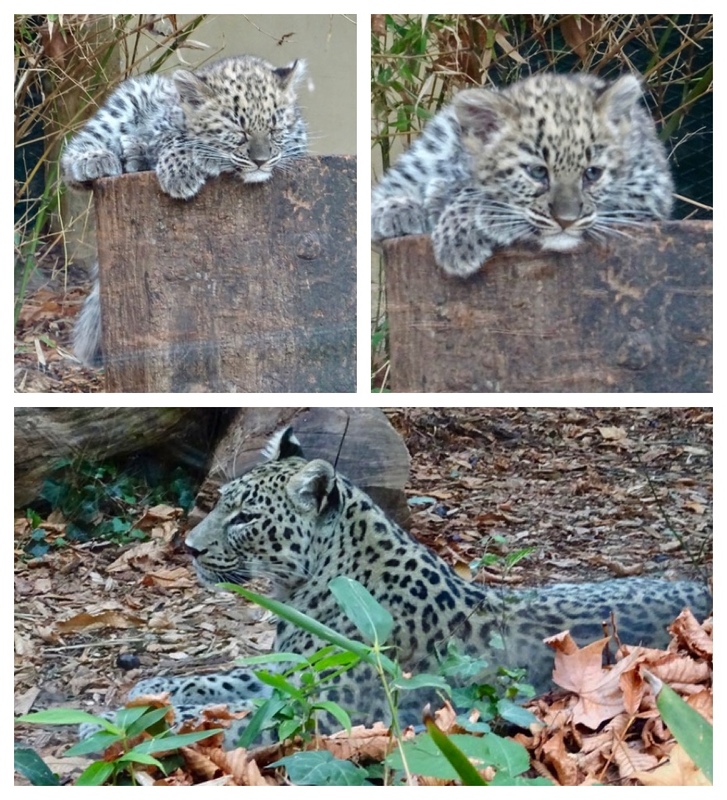 Just around the corner we spot this little leopard trying to get settled on a stump for a nap while his mother rested nearby. I was a bit disappointed in my photos, a lot of them are a bit out of focus, perhaps because I was often shooting through glass? 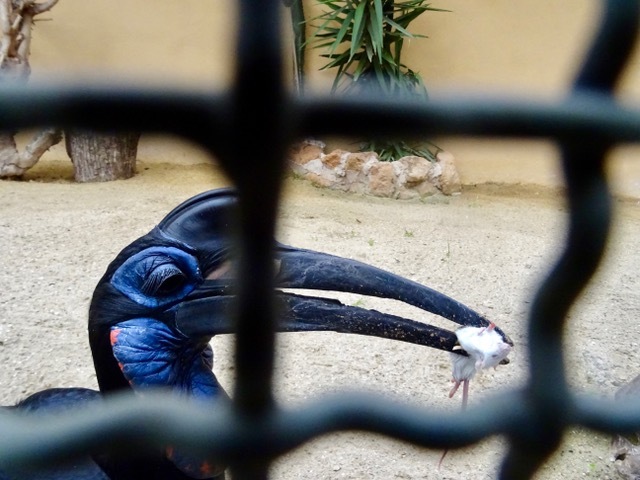 This Southern Ground Hornbill from Africa was very pleased with himself about the mouse he had for dinner. He brought it up to his fence to show me his prize. He even pushed it against the fence to give me a really good look! 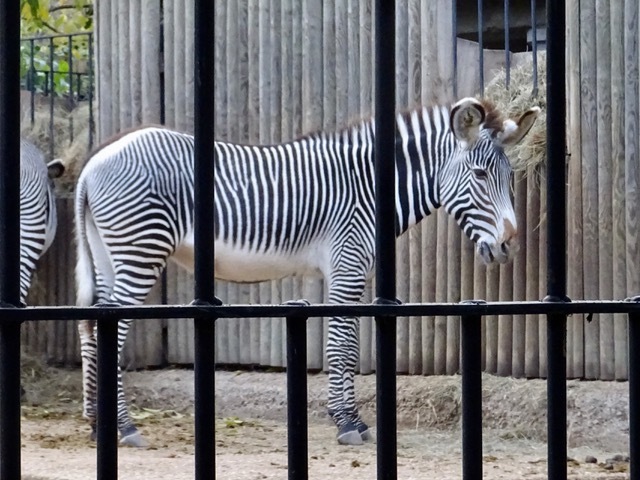 Grevy zebras have very large ears. I don’t remember seeing such big eared zebras before. 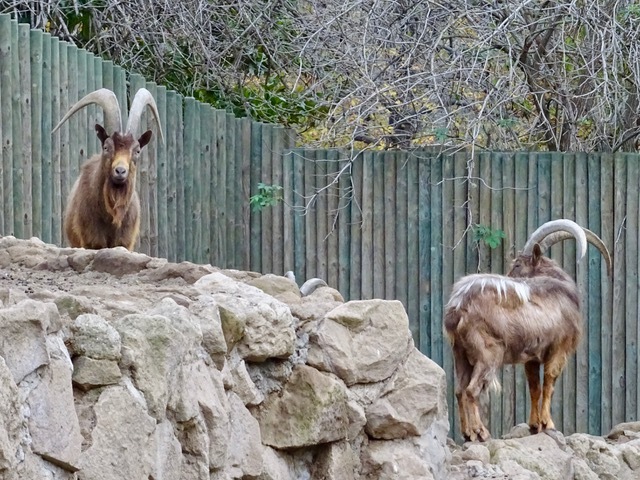 The Montecristo Goat is only found on the Isle of Montecristo in the Tuscan Archipelago. They were almost hunted to extinction but there are now about 250 left in the wild. 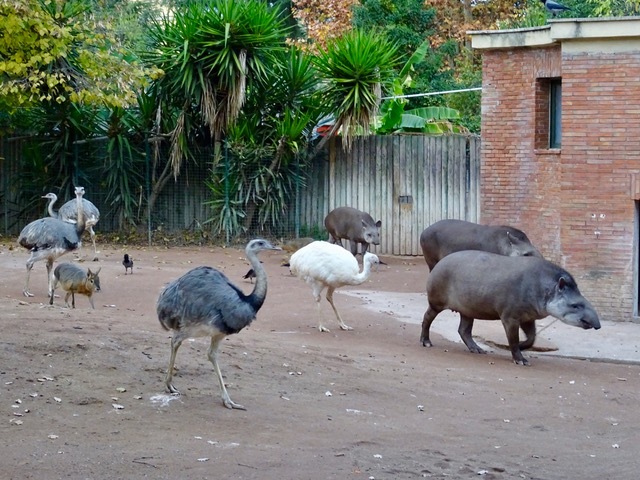 This was a rather strange assortment of animals sharing the same space, Tapirs, Rheas, and ROUS’s (rodents of unusual size ) or Patagonian Cavys. 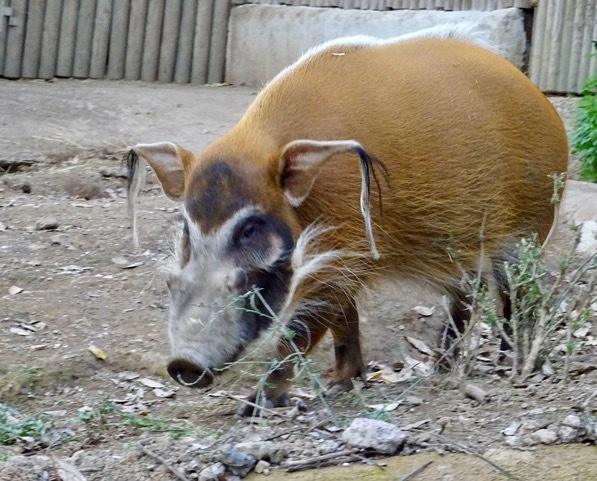 The Red River Hog from Africa is an interesting looking character. This is the first time we have seen one. 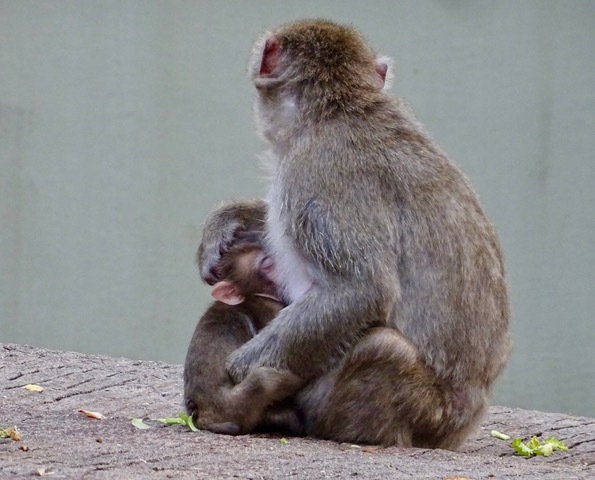 The mommy monkeys were taking very good care of their babies… and the giraffes were busy trying to get into their barn. Waiting not so patiently. This is the entrance to the zoo. There were more sculptures but I couldn’t get them all into the photo. I thought it was a grand entrance. I think we were the last people to leave the zoo. 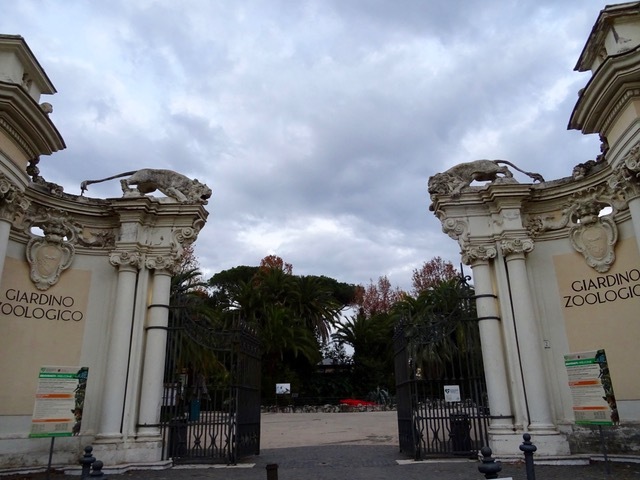 This entry was posted in Drawing, Italy, Parks, Sculptures, Uncategorized, Vacation, Zoos and tagged Bioparco Rome, Gladio, Italy, Life drawing, Orangutan, Parking in Rome, Rome Zoo, sketches, Vacation, White Bengal Tiger, Zoos by Trudy. Bookmark the permalink. 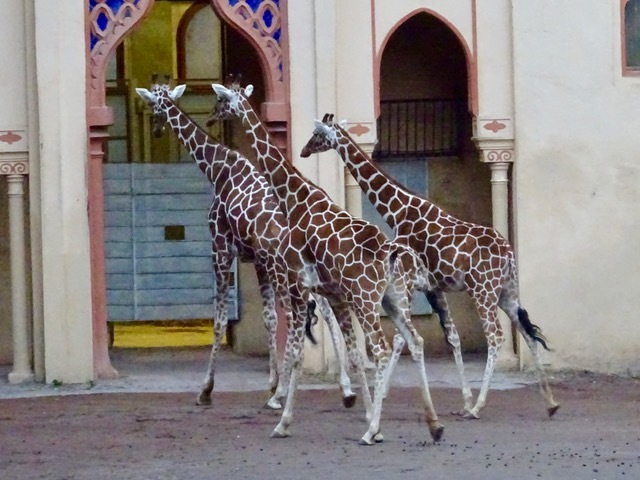 WOW, thanks for sharing your visit to the zoo. Interesting. You are welcome. We enjoyed our afternoon there. 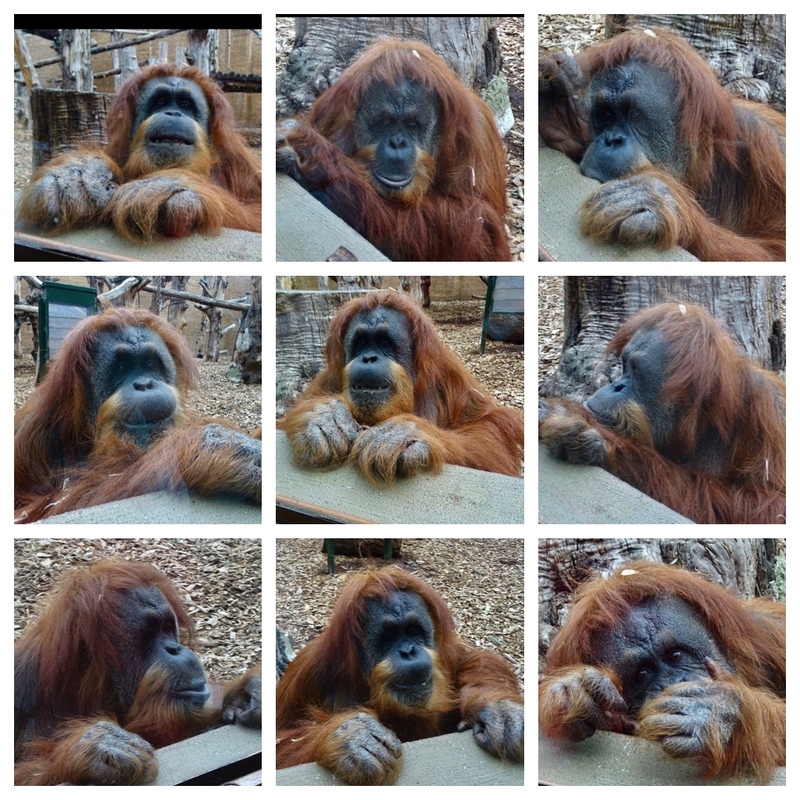 LOVED the orangutans!! Especially the photo of you drawing them. Yeah, that’s how they park…drive on sidewalks too! 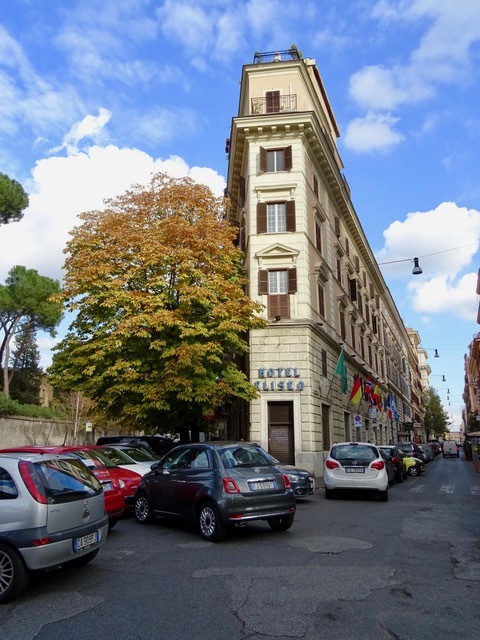 Ever heard of the expression “when in Rome…”? “When in Rome” has a whole new meaning for us now! Yes, things are different here, but that is part of the fun of travelling, isn’t it?